Ricky Gervais, Joanna Lumley and Chris Packham have joined the BUAV call for an end to the cruel capture and use of wild baboons in disturbing experiments in Kenya. Legislation in Kenya relating to animal experiments is outdated and hopelessly inadequate. Wild baboons are captured and held at the Institute of Primate Research in Nairobi under conditions which seriously compromise their welfare and breach international guidelines, before being subjected to disturbing experiments, including some carried out by UK researchers. In the UK, using wild-caught primates in research was effectively banned in 1995, yet a BUAV investigation has revealed that researchers from Newcastle University are bypassing UK law and using public funds to go to Kenya to use wild-caught baboons in highly invasive experiments. 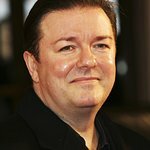 Long term supporter of the BUAV, Ricky Gervais, spoke out upon hearing about the investigation: "The findings from the BUAV investigation into the use of wild-caught baboons for research in Kenya is very distressing. “Their film shows just how much the animals suffer after being trapped in the wild and held captive in terrible conditions, some for years on end. The UK doesn’t allow experimentation on wild-caught primates and I hope that the findings of this investigation will make a real difference to stopping the practice in Kenya and other countries. Ricky was also joined by Joanna Lumley and Chris Packham who both spoke out against the suffering inflicted on these wild animals. Other high-profile spokespeople to have expressed support for the BUAV campaign include Wildlife Presenters Simon King and Mark Carwardine, Actor Peter Egan and Presenter Wendy Turner Webster. The BUAV is calling on the Kenyan government to take a stand and dissociate itself from the cruelties of the wild-caught trade by introducing a ban on the capture and use of wild primates for research. It is also urging the UK government to close the loophole that allows UK researchers to bypass UK law and carry out experiments on wild-caught primates overseas and for Newcastle University to stop supporting such cruelty and ban its researchers from using public funding to travel to Kenya to experiment on baboons.